ICYMI, peppermint-flavored candy canes are so old-school. This is 2018, people: a dumpster fire of a year in which such blasphemous, revolting creations as rotisserie chicken-flavored candy canes exist. No need to rub your eyes or clean your glasses in disbelief — you did, indeed, read the phrase "rotisserie chicken-flavored candy canes" correctly. These gag-inducing treats hail from Archie McPhee, the same novelty brand that introduced the world to mac and cheese candy canes and ones of the dill pickle variety. They come in packs of six for $6 and have the "same color as crispy chicken skin," which translates to oh-so-tempting yellow and brown stripes. 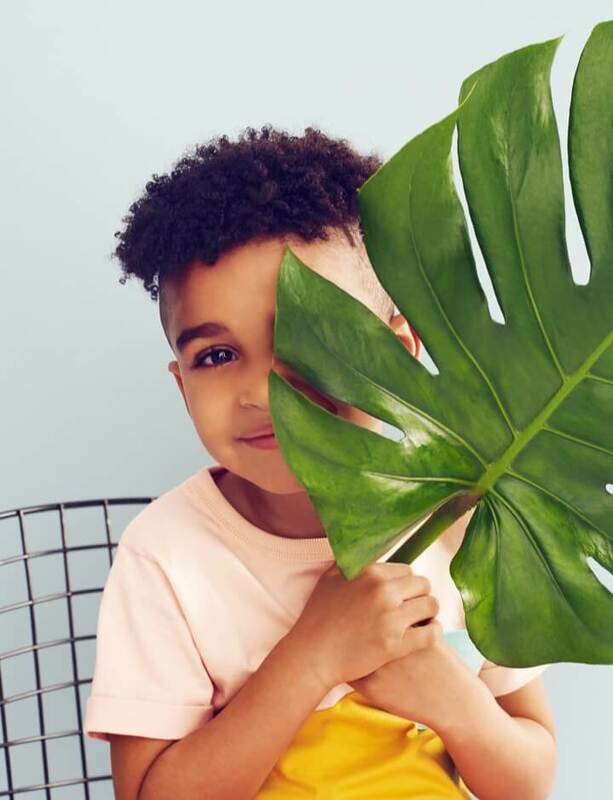 Although the mere thought of the poultry-flavored sticks may have you running to locate the nearest barf bag, they surprisingly appear to be a hit with online shoppers. Archie McPhee had to instill a limit of five rotisserie chicken candy cane packages per online order due to their "extreme popularity." Over on Amazon, the reviews are pretty mixed among people who have purchased the intriguing holiday candies through the online retailer. Below is a rather entertaining sampling of feedback about their taste and smell — both good and bad. "These were super hilarious to give to family members! They thought they were disgusting and had to grab a drink to wash the flavor down. What a great gag gift!" 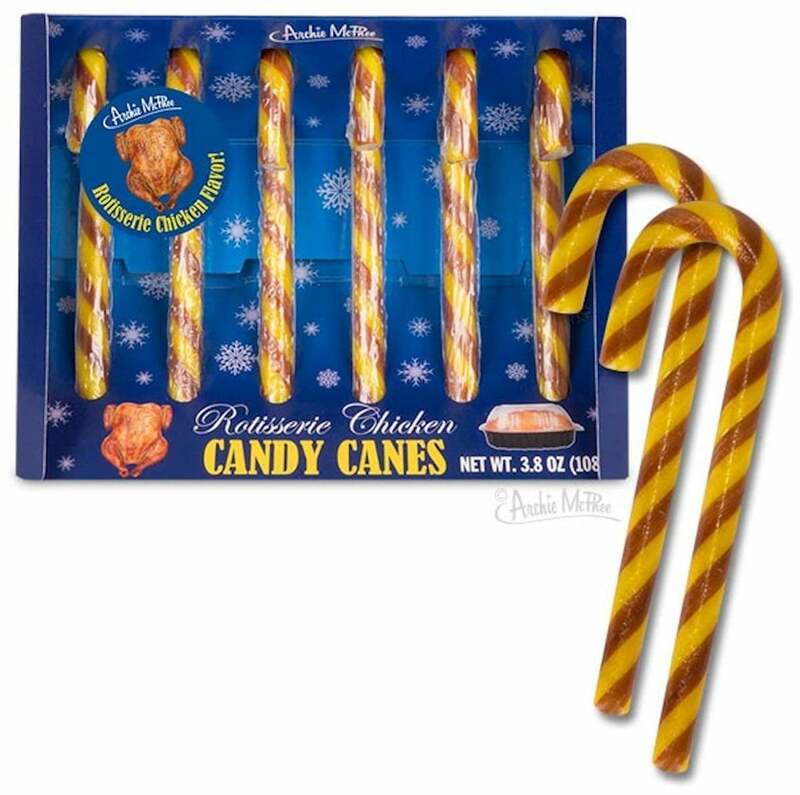 "Can't be too mad about the taste because, c'mon, they're rotisserie chicken candy canes. Very novel item and perfect for anyone brave enough to try them! 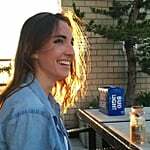 Great for any party that you need a good laugh at." "This was purchased as a white elephant gift and it was a hit. They certainly tasted like chicken. It was wonderful and gross! The taste lasted a very long time even after brushing your teeth!" "I tried this out of curiosity. At first, I was surprised at how much it tasted like chicken. Then, the aftertaste. I'm dry heaving and can't get the taste or smell out of my mouth. Would not recommended these to the worst person in the world." "The smell is reminiscent of really strong-smelling cat food. I couldn't get past that enough to actually taste it." "I really don't suspect that anyone will want to eat the whole candy cane once they've smelled or sampled it. That is unless of course you enjoy candy products that remind you of the remnants of gravy from some UNKNOWN meat source (but definitely not rotisserie chicken), or a candy that leaves a horrendous aftertaste in your mouth and makes you wanna go brush your teeth immediately!" 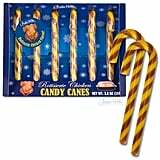 Whether you're looking for an ideal white elephant gift or something to trick your kids with around the holidays, you can shop these sweet yet somehow simultaneously savory candy canes below. We suggest giving your taste buds a pep talk before succumbing to curiosity and diving into a package of these.